The Kansas City Chiefs have opened the doors for training camp at Missouri Western State University in St. Joseph, MO. The Chiefs enter their 9th year in St. Joseph after spending the previous seasons up in River Falls, WI. Chiefs practices are open to the public, giving fans their first glimpse at 2nd year quarterback Patrick Mahomes as he prepares to take over as the Chiefs starter this season. 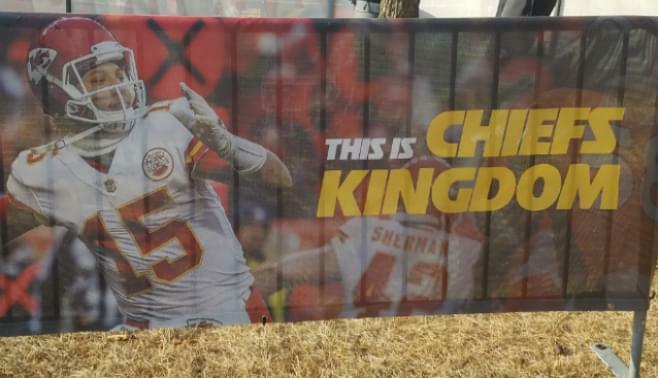 The Chiefs also have concessions available as well as a team merchandise tent with special training camp merch available for purchase, and a discount section as well! There are also a few days with designated team autograph sessions and special activities. Unless otherwise noted, admission to practice is FREE and parking is just $5 per vehicle. Below are some of the special event dates. *= Autographs are available but not guaranteed to be received.